Sper Big Back Pocket with huge screen bag sewn right into to main inner parts (for moist items) as well as a vital files zippered bag sewn right into the rear inner parts. 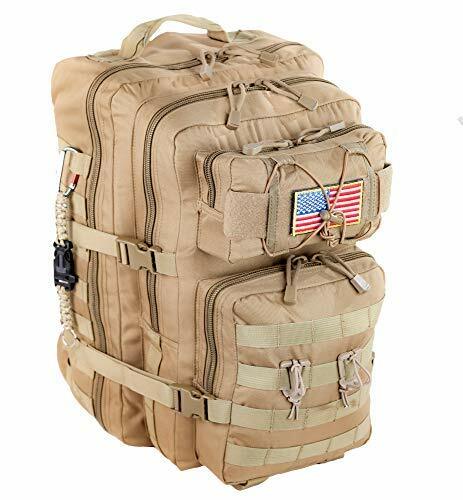 One Large Back Pouch sewn right into the rear of the bag with hook & loophole bolt - This bag is capable of delaying to a 3-liter Moisture pack (Not-Included) - Open Layout makes it possible for the Moisture Consuming Cylinder to pass easily to the outside. IMPORTANT NOTIFICATION: VARIOUS PROPS AND ALSO CENTER PRODUCTS SEEM IN SEVERAL OF THE PRODUCT PHOTOS - THESE PRODUCTS ARE ACTUALLY NOT CONSISTED OF. PRODUCTS CONSISTED OF ARE ACTUALLY THE BAG AS DESCRIBED AND ALSO THE PRODUCTS PROVIDED AS "FREE OF COST THINGS".
? ROAD WARRIOR * RANGE * CONCEALED CARRY *OFFICE * SCHOOL - ONE BAG DOES IT ALL! Road Ready and TSA Airline Friendly. MEGA-INTERIOR, 13" x 18" X 10" (Expanded) and 1.5 Cubic Feet of usable space holds everything but the kitchen sink INCLUDING 17" LAPTOPS. MESH & ZIPPERED AND OFFICE ORGANIZER POCKETS keep it organized, NO MORE DUMPSTER DIVING FOR YOUR IMPORTANT STUFF. ? 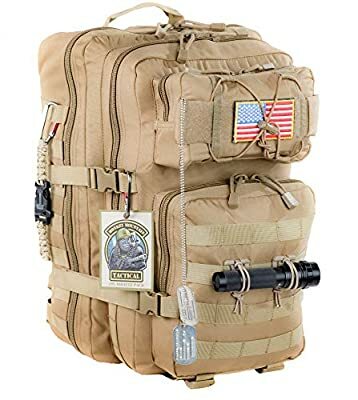 HARDENED DESIGN FOR REAL-WORLD WARRIORS: 600D Denier Material with industrial strength webbing, REINFORCED with Double-Stitching at all Stress points and high-grade heavy-duty zippers. WATER, MUD, no problem, WATERPROOF TREATED MATERIAL with specially designed internal zipper gussets that deflect water away and KEEP YOUR GEAR HIGH AND DRY. ? 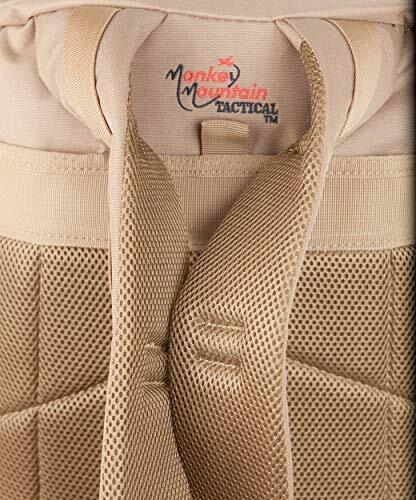 COOL & COMFORTABLE AND ALL-DAY FRIENDLY: PILLOWED and QUILTED Extra-Wide Shoulder Straps and Back Spine Pad provide COOL-ZONES that permit passive are flow through all contact areas providing MAXIMUM COMFORT and ERGOMETRIC RELIEF. ? FREE STUFF! : 2" x 3" Hook & Loop EMBROIDERED US FLAG Color Matched to the bag (not a cheap rubber or undersized flag, this is Govt issue quality) , two CARABINER MOLLE-READY D-RINGS with Push-Button Quick Release, Two MOLLE-READY GEAR CLIPS with Elastic bands perfect for tactical flashlights, One color-matched US-MADE PARACORD CARABINER KEYCHAIN with Firestarter Survival Tool. OVER $18 OF FREE AND USEFUL ACCESSORIES ? U.S. BASED SUPPORT: We are a veteran owned U.S. based business that supports your values, your community, and understands the needs of our customers; we communicate in YOUR language and in YOUR timezone.